Even after decades of dominance, the Jeep Wrangler still holds the title as the most versatile SUV in the game. The customization options and motifs are endless as you can tailor your Jeep to your particular tastes as the aftermarket is heavily invested in the category. Thus, even though there are millions roaming around on the streets, you’ll hardly ever find two customized examples that are identical. This pair from King’s Tire and Wheel is certainly an example of the parody in which these vehicles are customized. The most notable of the pair – the Nardo Grey Rubicon JL – features extensive modifications. This Rubicon features products from the likes of Evo Manufacturing, Fab Fours and King Shocks, just to name a few. 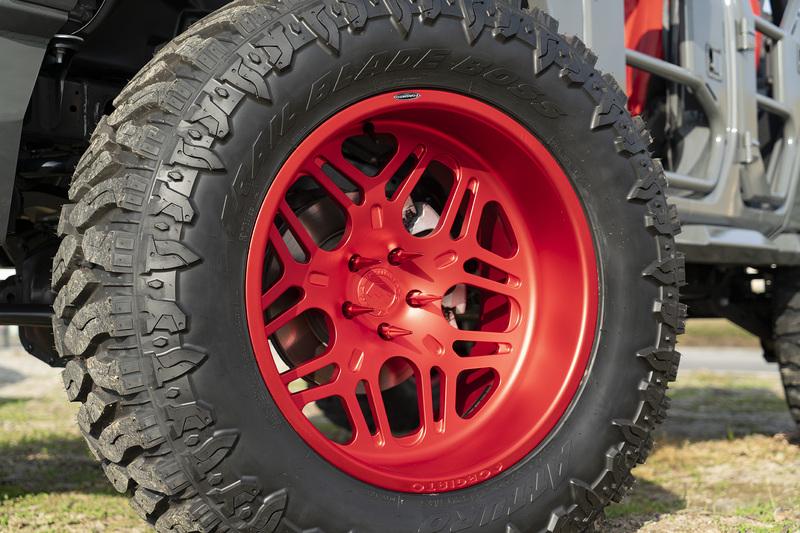 The highlight of the menacing off-roader is the vibrant footwear from Forgiato. 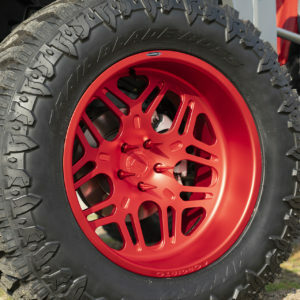 The Jeep features a set of 22×12 Forgiato wheels from the Terra series in an anodized red hue, wrapped in massive rubber. 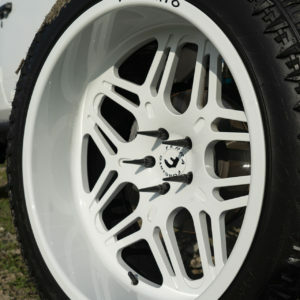 The more subtle of the pair is the white Sahara that is more of a mall crawler – but proud of it. 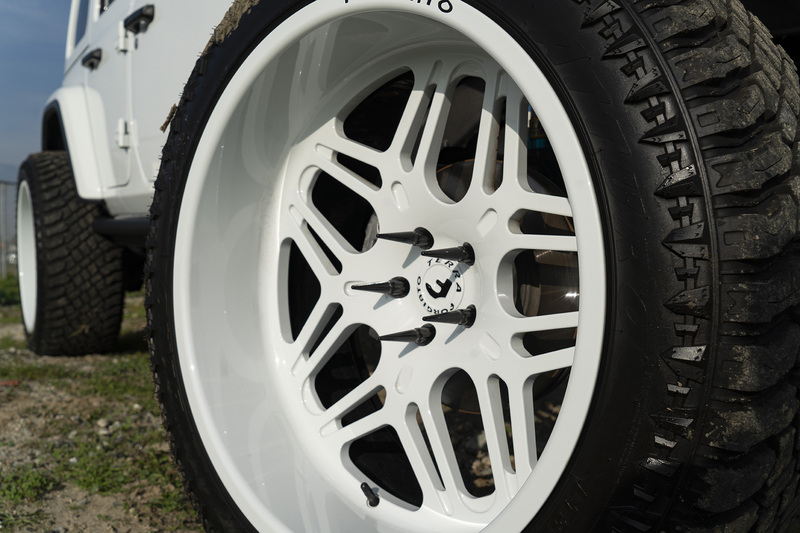 The icey white Wrangler features the same 3.5-inch lift as its counterpart but has a set of 24×12-inch wheels stuffed under the fenders, instead. Check out more Jeeps on Forgiatos here!